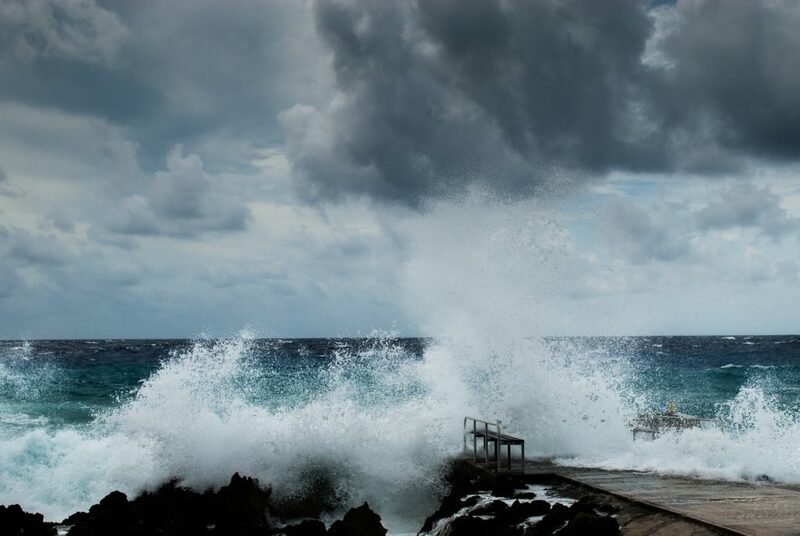 There are steps we can take to decrease coastal communities’ vulnerability to storms, lower the risk of damaging floodwaters, and reduce the impacts associated with these disasters. Over time, development decisions gradually increased our vulnerability to the storms and floodwaters we now face. But it’s equally possible to gradually reduce this vulnerability. We can begin by shifting development away from areas that are or will soon be subject to frequent flooding. Immediately after a flood event is a good time to make this shift with property buyouts, but before the next flood is even better. Planning efforts also need to consider targeted buyouts of repeatedly flooded areas, not just single buildings. When contiguous properties are bought out, there are more options for reusing the land in ways that address community needs, such as creating parklands and open spaces that are designed to flood and rebound quickly. Coastal communities can take steps to decrease their vulnerability to storms, starting with better planning. In North Carolina, the Charlotte-Mecklenburg area thoughtfully planned and implemented community buyouts with no net adverse effect on the tax base and an estimated $25 million in avoided losses. In Wisconsin, Milwaukee has implemented a much needed job training program around its floodplain buyouts. This is difficult to pull off during disaster recovery, but it can happen when there’s a homegrown community plan in place before the next storm. Too often our approach to mitigating flood hazards relies on constructing barriers to water, such as seawalls, levees and dams. These structures do reduce flood damages, but they can’t protect us from changes in land use that alter the timing and quantity of flood flows or weather events that exceed their designs. Structural measures also give us a false sense of security. Rising seas and more extreme weather mean increased chances that storms will exceed structural designs. We need to get far more serious about additional flood risk-reduction tactics by applying more naturally-protective features. In urban areas, features such as rain gardens and permeable pavement help capture rain from frequent small precipitation events. By slowing the water that runs off buildings and pavement, these measures help moderate flooding, improve water quality and recharge groundwater. While these features get overwhelmed by larger, rarer events, every single element helps reduce the flood risk to someone downstream. Planning that incorporates these features not only helps reduce flooding, but helps mitigate broader storm impacts. A good example of this is Louisiana’s Coastal Master Plan, which contains over 100 coastal restoration and protection projects that work synergistically to reduce the effects of storm surge on communities, cities and infrastructure. When buildings can cope well with floods and winds, many people benefit – not just those living and working in the buildings, but everyone who does business with the tenants, the emergency service providers and the broader community. Updating building codes provides a gradual, low-cost and cost-effective means to increase protection for people and decrease damages. Communities that adopt, implement and enforce building codes that are informed by the natural hazards they face will experience fewer and less costly damages from extreme weather. Building codes increase the annual cost of new structures by about 1 percent but can provide a huge return, according to a recent National Institute of Building Sciences report. For example, the researchers found that for Texas, an optimal first floor height of 8 feet above base flood elevation resulted in a benefit-cost ratio of over 9 to 1. After Hurricane Harvey, Houston and surrounding Harris County recognized the value of smarter building codes and adopted new elevation requirements for new floodplain structures. In addition to updated building codes, people who live in or near a floodplain need flood insurance. With development and climate change, high-hazard floodplains are likely to get larger. Cost is one of many reasons people choose not to carry flood insurance, but high costs should be taken as a signal that residents need to reduce their risk. 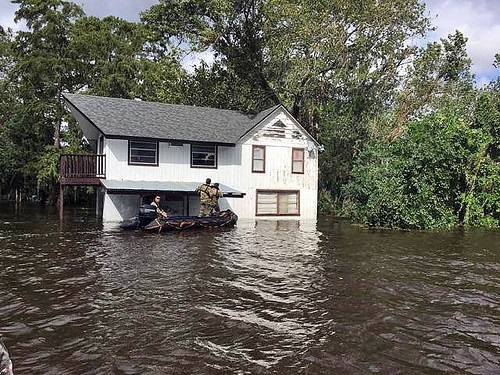 We should think of flood insurance as a civic duty, because when storms do come, insurance enables individuals and communities to bounce back from disasters faster. Communities participating in FEMA’s Community Rating System can reduce annual flood insurance premiums for property owners by as much as 45 percent by taking specific actions, like restoring and protecting open space in floodplains to attenuate floods. There is no silver bullet to protect coastal communities from storms, but by planning now and taking individual and collective actions, we can create multiple lines of defense. Implementing these four strategies and others will require multiple levels of responsibility. They will need to be executed by individuals and businesses, and supported with a high level of intra-government cooperation. They will also need to be sustained over time. But if we take the appropriate steps and rebuild wisely, we can increase our ability to cope with rising seas – and be better prepared to weather the next storm. A version of this post originally appeared on Texas Clean Air Matters and has been adapted for Growing Returns. This entry was posted in Coasts and tagged adaptation, building codes, buyouts, Coastal Master Plan, coastal protection, coastal resilience, flood insurance, Harvey, hurricane, Matthew, mitigation, natural infrastructure, wetlands. Bookmark the permalink. Both comments and trackbacks are currently closed. Louisiana Coastal Protection and Restoration Authority (CPRA) website hosts a Video Tutorial to promote the use of the Master Plan Data Viewer online interactive tool, which provides current and future coastal flood risk and landscape change information to users. Using data that informed the 2017 Coastal Master Plan, the Master Plan Data Viewer provides access to both coast wide and locally tailored information specific to Louisiana. “The Master Plan Data Viewer was developed for Louisiana citizens and stakeholders to have virtual access to location-specific information, and to encourage thought and planning about various environmental scenarios, coastal land loss, and storm surge impacts that may impact homes and businesses,” says Bren Haase, CPRA Chief of Planning and Research and lead developer of Louisiana’s Master Plan. Within the tool, resources are accessible to users: Resources to Reduce Risk features information for 5 Steps to Reduce Flood Risk: Make a Plan, Learn About Your Flood Zone, Storm-Proof Your Home, Elevate Your Home, and Retrofit Your Home. “We want to make this information available to every person who lives, works or recreates in Louisiana, so they can take steps to make their homes, businesses and communities safer and more resilient,” states Haase. The Master Plan Data Viewer utilizes data that informed the 2017 Louisiana Master Plan, the guiding document of CPRA planning and implementation efforts to protect and restore the Louisiana coast. Developed using the best available science and engineering, the Coastal Master Plan focuses efforts to guide actions and assets needed to sustain our coastal ecosystem, safeguard coastal populations, and protect vital economic and cultural resources.